Very nicely painted thangka of Chenrezig (Avalokiteshvara), the Buddha aspect of compassion. In this thangka-motif he is shown in his 4 arms manifestation as Sadakshari Lokeshvara. Thangka-painting using real gold. 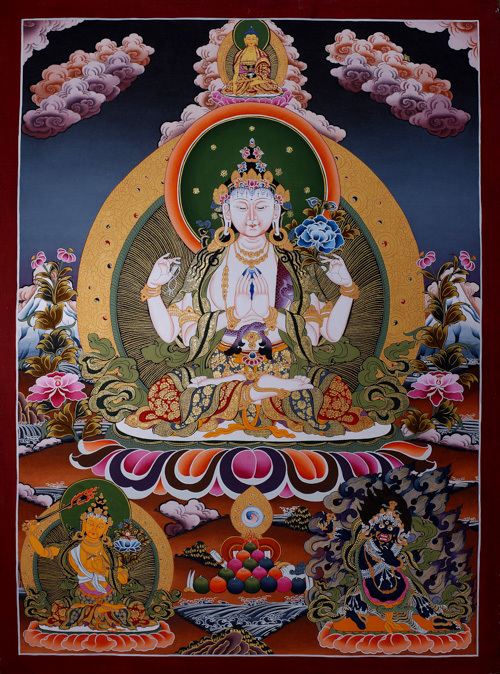 The thangka is ideal for meditation because of its clarity and purity!